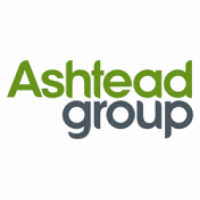 Stock in Ashtead Group plc found using EPIC: LON:AHT has increased 3.81% or 67 points throughout the session so far. Market buyers have so far held a positive outlook during the session. Range high for the period has seen 1861.5 while the low for the session was 1793. The number of shares traded by this point in time totalled 715,139 with the daily average at 2,763,338. The 52 week high for the share price is 2461 some 702 points different to the previous business close and a 52 week low sitting at 1670.35 a difference of some 88.65 points. The market cap now stands at £8,435.73m at the time of this report. All share prices mentioned for this stock are traded in GBX. Mcap is measured in GBP. This article was written with the last trade for Ashtead Group plc being recorded at Monday, December 3, 2018 at 12:14:25 PM GMT with the stock price trading at 1826 GBX. Shares of RSA Insurance Group plc found using EPIC: LON:RSA has gained 1.4% or 7.6 points during the course of today’s session so far. Market buyers have remained optimistic throughout the trading session. The periods high has reached 555.8 meanwhile the session low reached 548.6. The total volume of shares exchanged so far has reached 646,220 while the daily average number of shares exchanged is 3,733,155. A 52 week high for the stock is 683.4 about 140.8 points in difference on the previous days close and a 52 week low being 521.2 which is a variance of 21.4 points. The current market capitalisation is £5,541.49m at the time of this report. The stock is traded in GBX. Mcap is measured in GBP. This article was written with the last trade for RSA Insurance Group plc being recorded at Monday, December 3, 2018 at 12:13:52 PM GMT with the stock price trading at 550.2 GBX. 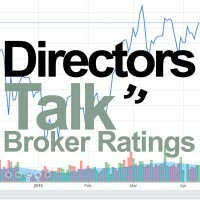 The trading price for St. James’s Place plc found using EPIC: LON:STJ has climbed 2.93% or 29.5 points throughout today’s trading session so far. Market buyers have remained optimistic while the stock has been in play. Range high for the period has seen 1038.5 dropping as low as 1016.5. Volume total for shares traded at this point reached 356,710 with the average number of shares traded daily being 2,164,850. The 52 week high is 1279.5 which comes in at 274 points in difference on the previous days close and a 52 week low being 952.8 which is a variance of 52.7 points. The market capitalisation currently stands at £5,322.50m at the time of this report. The stock is traded in GBX. Mcap is measured in GBP. This article was written with the last trade for St. James’s Place plc being recorded at Monday, December 3, 2018 at 12:12:46 PM GMT with the stock price trading at 1035 GBX. Shares in DCC plc EPIC code: LON:DCC has stepped up 1.95% or 115 points throughout today’s trading session so far. Market buyers have stayed positive throughout the session. The periods high has already touched 6040 while the low for the session was 5995. The total volume of shares traded by this point was 76,228 with the average number of shares traded daily being 571,283. The 52 week high is 7808.11 which comes in at 1903.11 points different to the previous business close and a 52 week low sitting at 5555 is a variance of 350 points. The market cap now stands at £5,817.29m at the time of this report. The stock is traded in GBX. Mcap is measured in GBP. This article was written with the last trade for DCC plc being recorded at Monday, December 3, 2018 at 12:12:00 PM GMT with the stock price trading at 6020 GBX. Shares of Burberry Group plc with company EPIC: LON:BRBY has risen 3.49% or 62 points in today’s trading session so far. Investors are a positive bunch throughout the session. The high for the period has peaked at 1882.5 and a low of 1830. The total volume traded so far comes to 688,798 with the daily average at 2,625,575. The stock 52 week high is 2338 amounting to 561.5 points difference from the previous days close and the 52 week low at 1481.5 which is a difference of 295 points. The current market cap is £7,254.68m at the time of this report. Share price is traded in GBX. Mcap is measured in GBP. This article was written with the last trade for Burberry Group plc being recorded at Monday, December 3, 2018 at 12:14:41 PM GMT with the stock price trading at 1838.5 GBX. The trading price for Compass Group plc found using EPIC: LON:CPG has climbed 1.4% or 23.5 points during the course of today’s session so far. Market buyers have remained optimistic during the session. The period high was 1717.5 dipping to 1686.5. Volume total for shares traded during this period was 1,501,778 while the daily average number of shares exchanged is 4,868,636. The stock 52 week high is 1722 about 43.5 points difference from the previous close and the 52 week low at 1396.5 is a variance of 282 points. The market capitalisation currently stands at £26,960.83m at the time of this report. All share prices mentioned for this stock are traded in GBX. Mcap is measured in GBP. This article was written with the last trade for Compass Group plc being recorded at Monday, December 3, 2018 at 12:14:33 PM GMT with the stock price trading at 1702 GBX. Click AHT BRBY CPG DCC RSA STJ for the full archive.